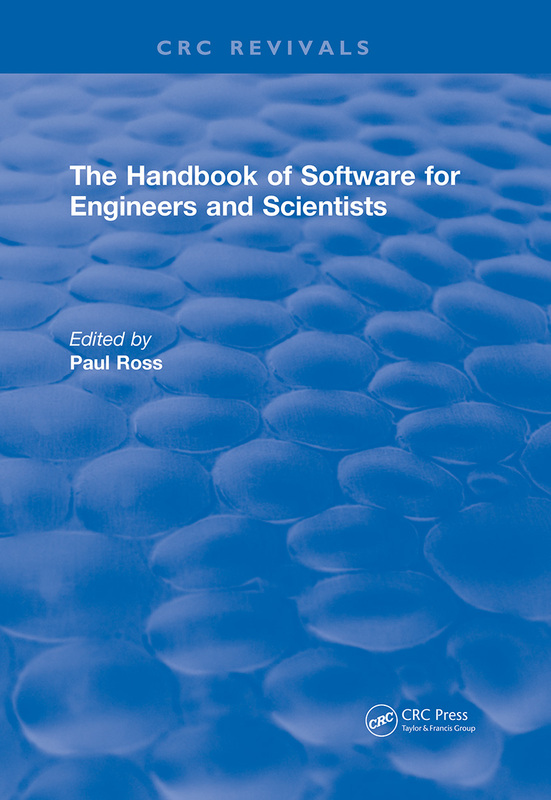 The Handbook of Software for Engineers and Scientists is a single-volume, ready reference for the practicing engineer and scientist in industry, government, and academia as well as the novice computer user. It provides the most up-to-date information in a variety of areas such as common platforms and operating systems, applications programs, networking, and many other problem-solving tools necessary to effectively use computers on a daily basis. Specific platforms and environments thoroughly discussed include MS-DOS®, Microsoft® Windows™, the Macintosh® and its various systems, UNIX™, DEC VAX™, IBM® mainframes, OS/2®, Windows™ NT, and NeXTSTEP™. Word processing, desktop publishing, spreadsheets, databases, integrated packages, computer presentation systems, groupware, and a number of useful utilities are also covered. Several extensive sections in the book are devoted to mathematical and statistical software. Information is provided on circuits and control simulation programs, finite element tools, and solid modeling tools.